Casual Mens checked shirt, cut from pure cotton in a check design of blue, wine and white. 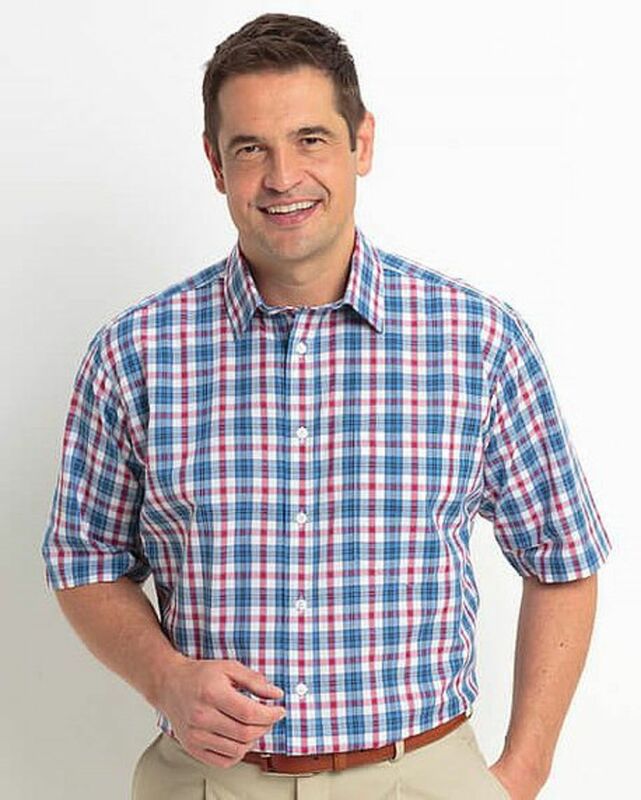 Our shirts are generously cut for comfort with soft collar and breast pocket. An essential addition to any wardrobe, to create an effortless casual look.